How much carbon does my business produce? Its a question any responsible managing director should currently be asking, and Clear have created a calculator to enable you to measure it. And best of all it’s free. No charges, no catches. Many companies offset carbon footprint measurement, but the quality of results can be extremely variable. 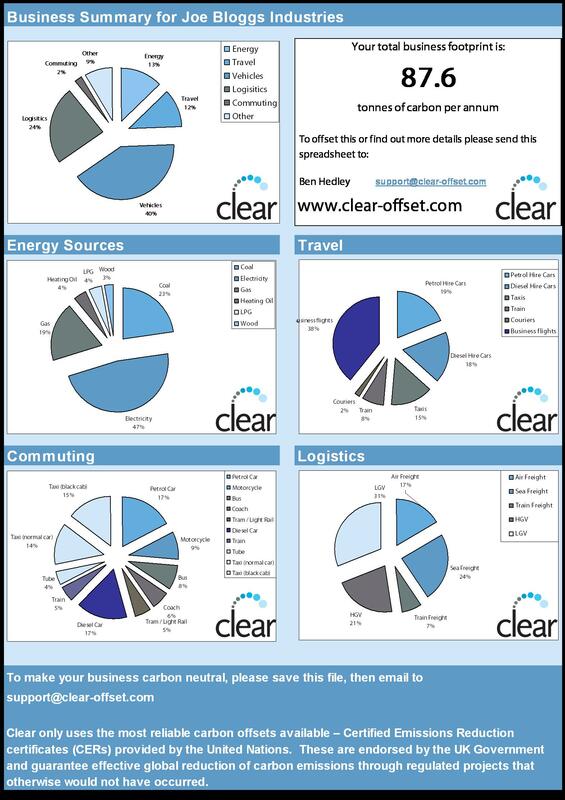 As a carbon offsetter, Clear Offset believes that the first step to reducing your carbon footprint is being able to measure it. And companies are less likely to do this if it costs £000s in consultancy fees. So we took all the knowledge we had, put it in a carbon auditing tool and gave it to the world for free. And best of all, it’s entirely compatible with DEFRA / The UK Government’s Quality Assured Offsetting Scheme.